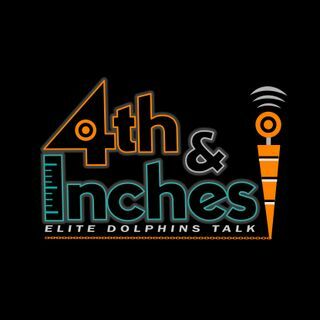 After a short break, the 4th and Inches crew is back to quickly break down the current state of the Miami Dolphins after a 2nd half meltdown on an unsuccessful visit to a mediocre Green Bay Packers team. It all boils down to injuries, and a horrible backup QB. -- Luckily, not much time is spent talking about the Dolphins at all. Instead, the guys took it back to this show's roots. Listen all the way through, and you'll be treated to an in depth discussion on a somewhat taboo subject. ... See More Spoiler Alert: It's poop talk! -- As the mood in Dolphins Nation turns incredibly sour all around us, we vow to keep you supplied with fun and laughs, right up until the wheels fall off! Stay tuned and if you're new, get subscribed, because we've got a whole lot more content coming your way- win lose or draw!